On Oct. 5, I met with Kentucky Gov. 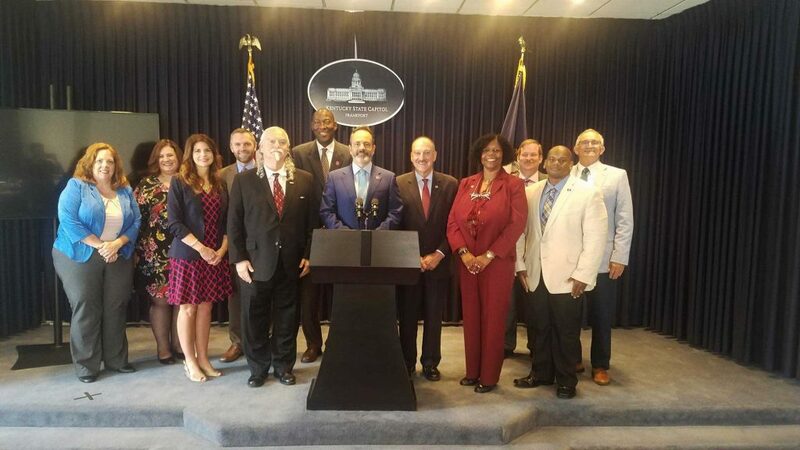 Matt Bevin and representatives from the Kentucky Cabinet for Education and Workforce Development and the Kentucky Department of Education at the state capitol building in Frankfort, Ky. This was a follow-up from hosting Governor Bevin during the National Leadership and Skills Conference, where he offered to work with SkillsUSA to make Kentucky a workforce development model for the nation. Also attending the meeting were Kentucky Labor Cabinet Secretary Derrick Ramsey; Deputy Secretary Josh Benton; Commissioner Wayne Lewis; Associate Commissioner David Horseman; state SkillsUSA director Wayne King; Johnnie Garlington from Toyota headquarters in Plano, Texas; Dennis Parker from the Toyota manufacturing facility in Georgetown, Ky; and SkillsUSA board member Chris Arvin from Caterpillar. Participating from our staff were Kelly Horton, Gayle Silvey, Amy Serafino and Tom Hall. We left Frankfort with high hopes of a focus on SkillsUSA as a career readiness solution for the state. I believe the day was historic as we look toward a top-down approach to bring the value of SkillsUSA participation into a statewide education and workforce system. 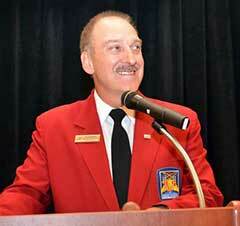 We look forward to continuing the dialogue and developing a model for SkillsUSA in other states. On Oct. 3, SkillsUSA and Racepoint Global launched the WorldSkills USA team press release on BusinessWire and distributed it to national and trade lists. Racepoint Global also began outreach to its national media contacts. See the press release here: www.businesswire.com/news/home/20181003005489/en/WorldSkills-USA-Gold-Kazan-Russia-Global-Trade. Don’t forget to check out the new WorldSkills USA team microsite when you get a chance and check back often for updates: www.worldskillsusa.org. 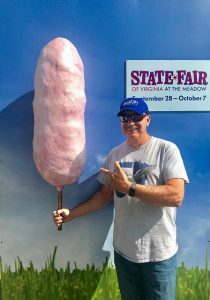 On Oct. 1, I attended the Virginia State Fair in Doswell, Va., where more than 500 SkillsUSA members from 34 chapters competed in 15 skill and leadership contests. It was a great day for SkillsUSA, with 145 volunteers attending as well as corporate member Anthony Williams from the Virginia Department of Education. The competitions were led and judged by business and industry. It was great to see advisors, administrators and state leadership there supporting our students. The weather was great, and the public was out in full force viewing the events. One of the most interesting projects at the state fair competition was the carpentry project where students built 20 miniature sandboxes to donate to ChildSavers. The sandboxes will help mentally challenged children develop stronger motor skills through hands-on work with sand and various objects. For details, go to: www.childsavers.org. On Oct. 2, I took our newest SkillsUSA staff members on a visit to Frederick County (Md.) Career and Technology Center. Hosting the tour were school principal Michael Concepcion, assistant principal Jack Newkirk and SkillsUSA advisor Lera Straits. It was a fantastic tour of the programs. This local career center had more than 700 members last school year and took a group of 20 competitors to nationals, plus two state voting delegates, and they won several medals. The school is excited to launch SkillsUSA Career Essentials and plans to complete three Experiences this year. On Oct. 4, I attended the National Coordinating Council for Career and Technical Student Organizations (NCC–CTSO) meeting at the Technology Student Association/National Association for Secondary School Principals headquarters in Reston, Va.
Robin Utz from the Office of Career, Technical and Adult Education (OCTAE) at the U.S. Department of Education reported that Secretary Betsy DeVos is on the road with a “RethinkED” campaign. There will be a Rethink CTE Summit on Dec 14 in the LBJ Auditorium in the U.S. Department of Education. Robin asked us to hold the date on our calendars. Pathways to Apprenticeship grants will be awarded to six states: Indiana, Kentucky, Maryland, Nebraska, Oregon and Rhode Island. Dec. 7 is International Education Week. The Association for Career and Technical Education (ACTE) reported that the Perkins V Guide has been uploaded to its website. A Perkins implementation webpage has also been developed. The February Techniques magazine will be devoted to career and technical student organizations. ACTE now has an online tool to evaluate career and technical education programs. On March 26, during the ACTE National Policy Seminar, there will be a Capitol Hill reception sponsored by the CTSOs. Gene Dudley represented SkillsUSA at the Manufacturing Day activities Oct. 5 at Newport News Shipbuilding. He gave a presentation on SkillsUSA as part of the program in Newport News, Va.
Also on Oct. 5, SkillsUSA national officer Guadalupe Cortez spoke at a Manufacturing Day event at Reborn Cabinets in Anaheim, Calif. Also speaking were Rep. Steve Faessel, a local Anaheim councilman; Sharon Quirk-Silva, a California assemblywoman; Janet Brown, a staff member from Congressman Lou Correa’s office; and Erik Cruz, a 2018 SkillsUSA California high school Cabinetmaking medalist. Approximately 200 students from Anaheim and surrounding high schools attended, and there was a job fair in the afternoon. Kim Hegedus has prepared the Constitution and Bylaws Amendment motion forms for the 2019 delegate process at the National Leadership and Skills Conference. The form should be up on the SkillsUSA website by the end of next week. Advance CTE encourages schools to apply for the 2018 Excellence in Action award to showcase the work of their students and instructors at the national level. This award honors innovative and high-impact programs across the 16 career clusters that prepare students for the real world. Applications are open to both high schools and postsecondary institutions. To apply, go to: https://careertech.org/excellence-action-award. The deadline for applications is Nov. 21 at 5 p.m. ET. Applications submitted after this deadline will not be considered. If you have questions, email awards@careertech.org. To register, go to: www.surveymonkey.com/r/CMSJan2019. Registration must be received by Dec. 11. Additional information about the boot camp is posted on the state SkillsUSA director website at: www.skillsusa.net/directors. Becoming a professional member of SkillsUSA is one of the best ways to demonstrate to students the opportunities that membership provides. Professional members receive online access to the following as a no-cost member benefit: 2019 SkillsUSA Championships Technical Standards, Jump into STEM! curriculum and SkillsUSA Career Essentials: Foundations. To receive these, instructors must submit membership and provide an email address. Once membership is submitted, an email will be sent with a PIN to access the items electronically. As a special membership incentive, those who register at least 15 student members plus one or more professionals by Nov. 15 will receive a free educational resource item, The Four Pillars: Your Personal Leadership Journey (value $4.95). Instructors who register with 100-percent membership (all students in their program) plus one or more professionals will also receive a SkillsUSA Program of Work calendar (value: $5.95). For more details on these incentives, see the membership kits or visit the SkillsUSA website: www.skillsusa.org/membership-resources/membership-kit-2/high-school/5-register-students-members-skillsusa/ — or instructors can begin to register themselves and their students at: www.skillsusa-register.org/Login.aspx. The American Bankers Association Foundation wants to encourage financial responsibility in students with its “Lights, Camera, Save!” video contest, which calls on students to educate themselves and their peers about saving and using money wisely. The contest is free and open to all students age 13-18, with the videos of local winners moving on to the national competition. The entry period is Oct. 1-Dec. 3. The top three national winners will receive awards of $1,000, $2,500 or $5,000 to fund their saving goals. They’re looking for creative, innovative concepts. Winning videos will be posted on YouTube and viewed by people across the globe. If one of your students is a top-three national winner, your school will win a scholarship to attend the Jump$tart National Educator Conference. Winners will be announced in March. Visit www.LightsCameraSave.com for additional contest information and to locate a participating bank in your area.